Kyle Dube allegedly intended to kidnap the 15-year-old Maine girl and stage a 'rescue,' court documents say, but instead she ended up dead. 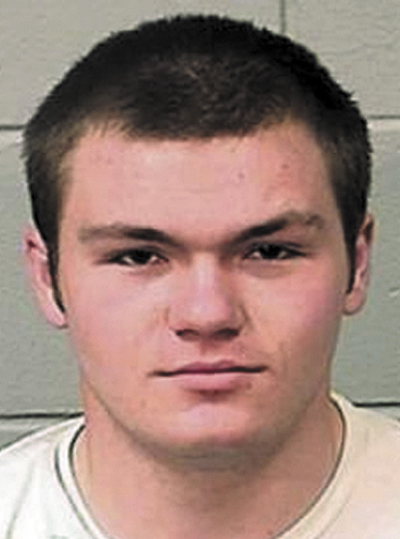 BANGOR – Kyle Dube of Orono used a fake Facebook account to lure 15-year-old Nichole Cable from her home in Glenburn on the night of May 12, intending to kidnap her and then pretend to rescue her. Wearing a ski mask, he jumped out of the bushes at the end of her rural road, duct-taped her and put her in his father’s truck. She was dead by the time he got her out of the truck. That account of the killing is contained in a police affidavit that a judge released Wednesday after Dube’s indictment on charges of kidnapping and murder. 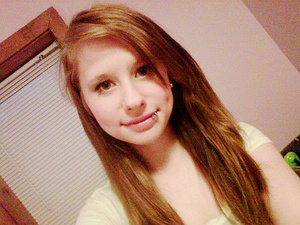 Cable was reported missing by her mother on May 13. After a massive weeklong search, her body was found on May 20 in woods along the Stillwater River in Old Town. Dube, 20, was charged the next day. Investigators connected him to the Facebook account of a man named Bryan Butterfield through the Internet Protocol address, according to the affidavit, which was sealed by Superior Court Justice William Anderson until the Penobscot County grand jury met this week. Officials say Dube created the account to connect with Cable under a false name. The affidavit, written by Maine State Police Detective Thomas Pickering, details how police connected Dube to Cable’s disappearance and death. Cable had frequent exchanges on Facebook with the fake Bryan Butterfield, and agreed to meet him on May 12. She told a friend that night that she planned to meet him. Facebook provided records indicating that the IP address for the account was registered to Greg Dube of 5 Maplewood St. in Orono, where Kyle Dube lives with his parents. The account was closed at 7 a.m. on May 14. Facebook also told police that the last four digits of the cellphone that was used to disable the account were the last four digits of Dube’s cellphone number. According to the affidavit, officers determined that Dube created the fake account based on the fact that he was logging on to that account and another in his own name using the same IP address, sometimes within minutes of each other. Penobscot County sheriff’s officers interviewed a Bryan Butterfield, who said he knew Nichole Cable but had not seen her in several months. They determined that he was not involved in her disappearance and that the Facebook account in his name was fake. During a search for Cable in Glenburn, police found a hat with a hole cut in it, a sock and a black sneaker. A sample of Dube’s DNA, obtained with his consent, showed that his DNA was on the hat, and that Dube’s and Cable’s DNA were on the sock. 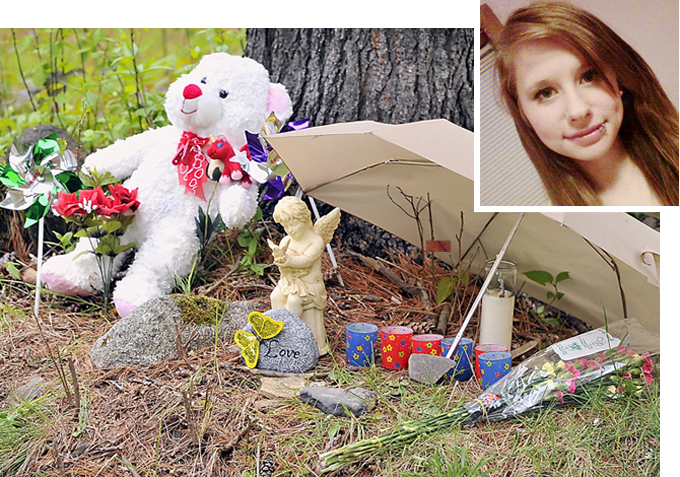 Dube’s brother, Dustin Dube, told officials on May 20 that Dube told him he had communicated with Cable and gotten her to agree to meet him at the end of Spruce Lane, where she lived. He waited in the bushes there wearing a ski mask, jumped out, duct-taped her and put her in his father’s truck. He told his brother that he intended to pretend to rescue her so people would believe he was a hero. But when he removed Cable from the truck, she was dead. Dube then dumped her body in the woods near a gas station in Old Town and covered her up, the affidavit says. Dube told his girlfriend, Sarah Mersinger, where he left Cable’s body and told her that he threw the girl’s clothes out the truck window. She told officials that Dube said he left the body in a clearing and covered it with sticks. The state medical examiner is still testing to determine how Cable died. Dube was arrested on May 21, while he was in the Penobscot County Jail on a charge stemming from a high-speed chase with police in 2012. Justice Anderson ruled last week that the police affidavit detailing the investigation should be sealed until the grand jury met. The Portland Press Herald and The Associated Press challenged the ruling, saying it violated the First Amendment and previous court rulings that court proceedings and documents should be open to the public except in extraordinary circumstances. Anderson heard arguments Wednesday from Sigmund Schutz, a lawyer representing both media organizations, and later denied the motion, saying the press did not have a right to intervene. Schutz argued that the high-profile nature of the case called for greater openness in the proceedings, not less. Last week, Dube’s attorney, Steven Smith, filed a motion seeking to seal not only the affidavit, but also search warrants in the case, until a jury is selected. He said threats had been made against Dube online. Smith also cited concerns about Dube’s right to a fair trial. The judge said in his ruling that he considered the time between when the affidavit was sealed and when the grand jury would sit. “To avoid jury prejudgment through media coverage, the court elected to seal the affidavit for a brief period,” he wrote. Schutz said there is no clear procedure in Maine dictating when a judge can and cannot seal court documents, or clear avenues to challenge a seal.